Future experiments at the European Organization for Nuclear Research (CERN) will increase the demand for high-bandwidth optical links due to the growing amounts of data to be treated by the data-transmission and acquisition systems. The development of the Giga Bit Laser Driver (GBLD) chip-set addresses this issue providing a means to increase the bandwidth available to transmit data to and from the counting room. 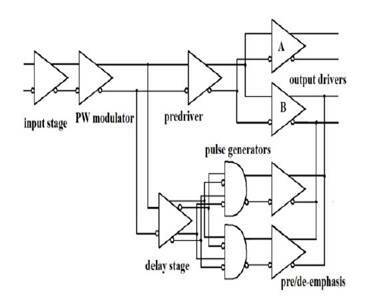 This paper describes some aspect of test setup implementation and the protocol test used to evaluate and qualify the GBLD. An upgrade of the current LHC (SLHC), is expected to increase the luminosity to 1035/cm2/s, which implies more data to be transmitted and higher radiation doses to be sustained. Future optical links will also be required to reduce power dissipation and mass inside the detector. One possible solution could be to increase the bandwidth of each link. Optical links for SLHC are being developed into the Giga Bit Transceiver (GBT) project in collaboration between CERN and other international institutes, including the INFN Perugia and Torino groups. The GBT project aims at designing, in a commercial CMOS 130 nm technology, a fast and radiation tolerant optical transceiver providing a bidirectional connection between the frontend electronics and the DAQ, trigger and DCS systems. 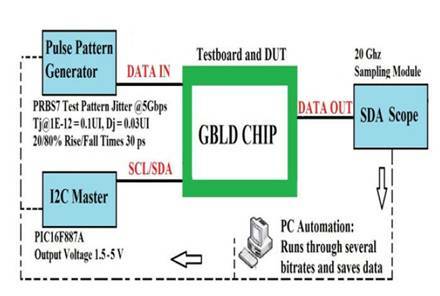 A chip named Giga Bit Laser Driver (GBLD) for data transmission at high data-rates has been developed in this framework as part of the GBT project.